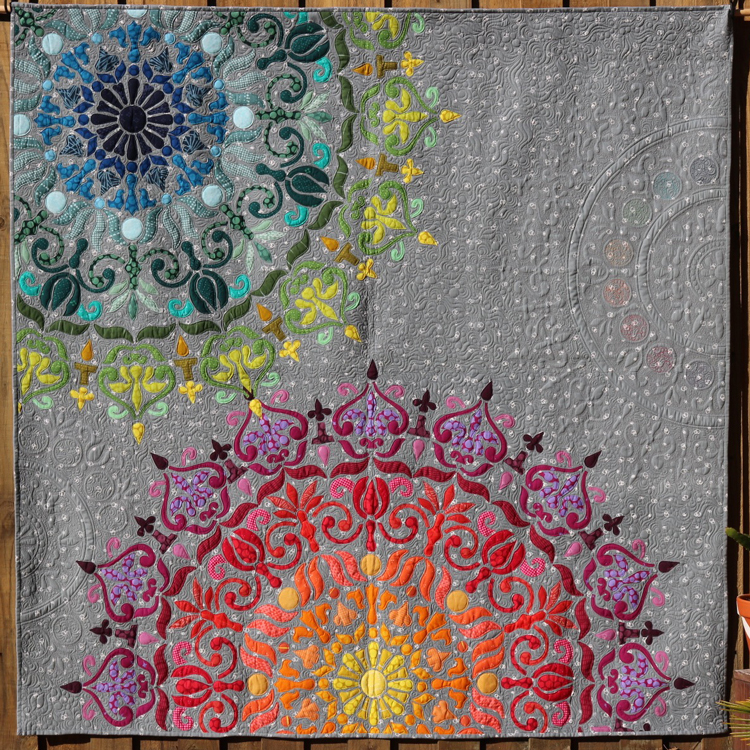 Mandalicious is a modern appliqué quilt, perfect for using your fat quarters, fat eights and fat sixteenth or your favourite scraps. The use of small amounts of different coloured fabric will create a mandala with lots of colour variation. Included in this pattern are diagrams, templates, a colour chart and both needle turn and raw edge appliqué instructions.